They always say it cant be repaired, its a get out, they mean to say they havnt got a clue buy another phone. This brings me back to year 2010. my mom used it as her work phone. then after couple weeks i got it. i still have it! i love these kinds of sony ericsson phones! Guys when my mobile was dying I transferred my pictures to my PC, and noticed battery charging via USB port. It taken little longer. Now I switch off my cell and charge via USB pot of my PC. SAVED MY SONY ERICSSON. and thanks to comment from ROMMY i will clean it up and make it work like new. Thanks Sony for this platform we can share. i used this phone since april 2007 till yesterday 22.5.17 when it stopped charging. service people say cant be repaired. very nice phone no battery or any trouble. joy stik was stuck some times may be due to dust. OMG, I still remember when first time played QuadraPop in 2008 and then my mother give this phone to me when i was in junior high school, & be my first phone. We (me,my mother, & my brother) played QuadraPop as a competitive one. It's just like simple game but very addictive. What a memory !! This phone actually bring me to become a gamer. I played so many games with this phone. Assassin Creed series, Real Football series, Pro Evolution Soccer, Asphalt Series, Prince of Percia series, and many more. My mother give this phone to his relative in 2012. 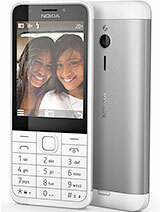 That time i just feel nothing cause I have new phone called Nokia C3-00. But after 2-3 month later until now, i just very-very miss this phone so bad. Now I using new tablet and mobilephones from Nokia and Apple. But k510i not have a glithes or problem like last models - nostalgy. GSMArena Thank You for Preview =)! i have an Sony Ericsson K510 the battery does not charge so i was woundering can i take the battery out and put it into another sony phone and charge it. what will be the other phone that i can charge the k510i battery? Who still have this phone ? hari, 21 Jul 2012oh! I m using this for more than 4 years! No problems at all! Just changed its battery onc... moreHow do you get Opera? Gibson, 18 Feb 2014I have this phone from the last ten years,I am very happy with this phone, its an awesome phon... moreHey, if you take it apart and give it all a good clean, it will be up and running smoothely again!! Can I download my Contacts into an excel spreadsheet and if yes, how? Total of 900 user reviews and opinions for Sony Ericsson K510.